I explored the social and historical context of the Dietary Guidelines, its effects on our current food system, and the need for reform in my Masters Thesis, which basically means I know more about the Dietary Goals and Guidelines from 1977 on than anyone would ever care to hear. At some point, I’ll post all the different sections individually for easier access, but as the series of tubes and wires that makes up the Internets is still a bit of a working mystery for me, this may take some time. In the meantime, I’d be happy to address questions, corrections, suggestions, comments, or animadversions below. Hi Adele, I’m really liking Eathropology! Nice work! Do you know of any talk, discussion, research or whatever to change the direction of that incentive? Thanks for sharing this link. Unwin is charming & nails a really important point: that his patient was “ashamed” of her own actions, despite the fact that, in all measurable aspects of her health, she had made dramatic improvements. And he was right in that the problem centered around her perception of him (as a representative of mainstream healthcare) “not listening.” Because, in fact, this is what is going on. So maybe it’s not–or it’s not just–that we need to create a monetary incentive for doctors to promote lifestyle change; we need to create incentives for the system as a whole to “listen to” patients, to be willing to assume that individuals deserve a choice, as Unwin concluded about his patients. Certainly, we need to remove the disincentives that exist for providers supporting their patients in pursuing alternative dietary interventions. This podcast from the Canadian Broadcast Corporation (think NPR but Canadian) provides an interesting history for habits (breakfast is well covered) that were started by advertisers. Thanks for the link–lots of interesting stuff here, and worth a listen if only for the snippet of the “I love bacon” song! Who knew? Well, I’m glad you read those guidelines. They were too confusing and frustrating for me to be able to completely get through and fully grok. I just wanted to alert someone in the low carb blog-o-sphere about two more or less positive articles about food. The first was in Diabetes Forecast by the ADA. “Low fat diets didn’t reduce weight more than higher fat diets and only led to greater weight loss when compared with groups of people given no particular dietary instructions. Still, the best diet for you? A healthy one you can stick with to meet and maintain your weight and other health goals.” The quote is not great but a little better than the strict low fat diet advice normally given. Like many others, I’m sure, I’m patiently waiting for you to have the time to post again. Good luck with your studies. Thanks for the heads-up. I think the ADA is going to have to come around eventually, if only because the all people with diabetes who otherwise ignore their dietary advice will compel them to. As for the HuffPo article, I really wish that lady would actually read the DGA 🙂 But it is good see the low-fat diet myth being beaten back. Hello Adele, have you seen this independent research report called ‘Fat: The New Health Paradigm’? Surprisingly, it comes from the research arm of Credit Suisse, a Swiss investment bank. It’s a revelation of independent, agenda free thinking. Its criticisms of our health systems are measured but damning (page 51) and its assessment of saturated fat is as clear as we’ll get (page 33). The article points out that no hunter-gatherer society has ever been found to be vegetarian. BobM directed me to this site and I’m very glad he did. Excellent writing, informative and funny. Thanks so much for the article. No doubt this is one for my collection. It is fascinating to see institutions that (ostensibly) have no nutrition agenda to defend get into this discussion. That’s one of the reasons I made the switch to Communication & Rhetoric–it has been interesting to me to see how the reception of the same story different from my current discipline compared to my old one (nutrition epidemiology). And thanks for tuning in. I might actually have something to post in the (not-too-distant) future. Interesting website. I agree with much of what you say. I teach nutrition to veterinarians. Hey Adele 🙂 Found this today on my Facebook feed! Sounds at least like another good movement going on. Very cool. 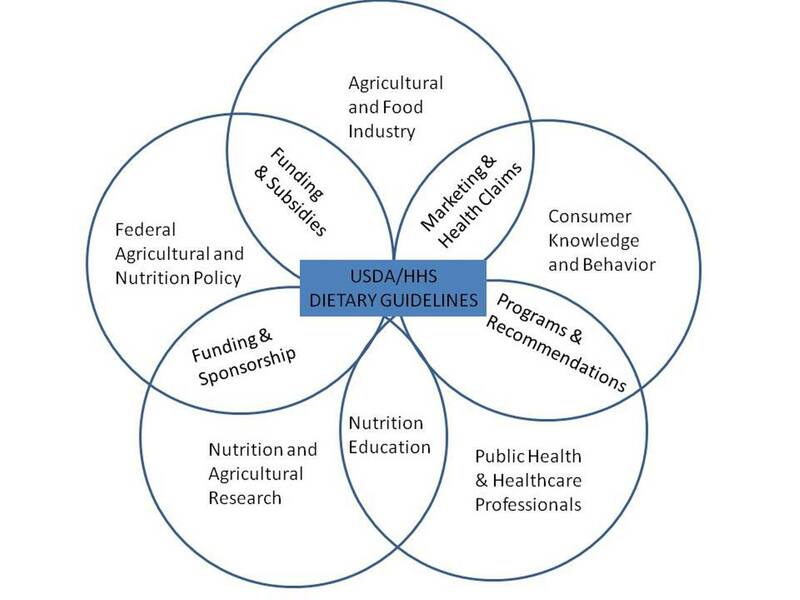 At the heart of the Dietary Guidelines issue is lack of opportunities for meaningful public participation in policy formation that affects all of us multiple times a day. More of this is definitely needed. Thanks–shaking things up is what I do. The Master’s thesis is a bit dry by nature, don’t worry about just skimming it. I think the only people that have read it through are me, my husband, and my advisor and I’m not even sure about those last two! another fix is to improve the quality of our food, all this monoculture and over producing (not to mention paying farmers not to produce to keep prices up) and chemicals and regulations forcing farmers to degrade the quality of their food, and on top of that irradiated the food, no telling what they are doing to our food to reduce the nutritional value in it, creeps. no wonder we are bunch of sickys and no wonder no matter how much good quality foods I eat I can’t seem to get healthier.